Iligan City – Students from Francisco Ll. 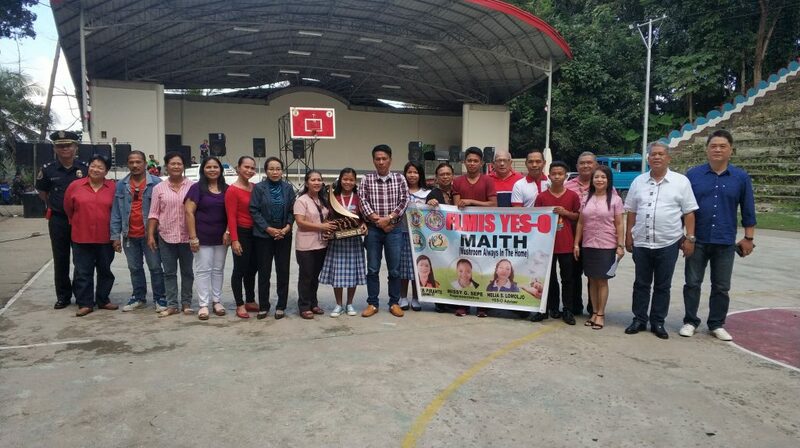 Laya Memorial Integrated School who won at the Ten Accomplished Youth Organizations (TAYO) Awards were recognized at the flag raising ceremony on January 4 at Anahaw Amphitheater. From the Department of Education (DepEd) division of Iligan City, Missy G. Sepe, a representative from Francisco Ll. Laya Memorial Integrated School was awarded one of the top ten winners at this year’s TAYO Awards out of the three hundred thirty four (334) participants and twenty (20) National Finalist last January 23, this year. The School Principal, Ms. Susan P. Pirante and Adviser, Ms. Nelia S. Lomoljo accompanied the youth at the recognition activity at the Anahaw Amphitheater. TAYO is a non-stop and non-profit organization that grants rewards or recognition to formal and non-formal youth organizations nationwide for their contributions that made a positive difference in their schools and communities, highlighting the value of collaboration and recognizing innovative and replicable projects. The youth will always be an inexhaustible source of energy and idealism. lligan City has so many great things to offer, and it’s time people knew about these young talented people. Iliganons will soon be at the center of the next big thing in all areas, especially in terms of being a “competent individual”. This entry was posted	on Monday, February 4th, 2019 at 9:41 am	and is filed under Flash News. Both comments and pings are currently closed.